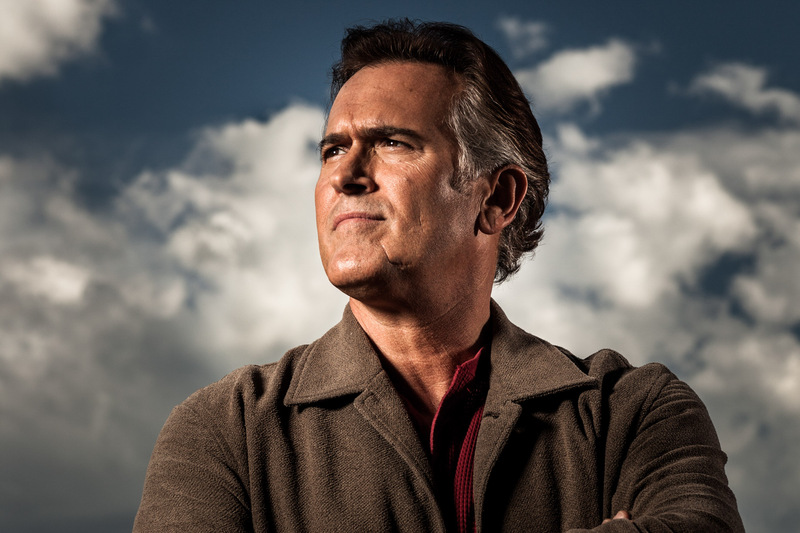 Bruce Campbell is an actor, voice artist, director, writer, producer, comedian and author. A cult film actor, Campbell is best known for portraying Ash Williams in Sam Raimi's Evil Dead franchise, from the 1978 short film Within the Woods to the currently ongoing TV series Ash vs Evil Dead. He also has starred in many low-budget cult films such as Crimewave , Maniac Cop, Sundown: The Vampire in Retreat , and Bubba Ho-Tep. Bruce posed for entertainment and authentic portrait photographer Andy Batt at his home in Medford, Oregon.